foray into high tech beach safety devices, Samsung and Leo Burnett Sydney have entered the space with an augmented reality app called Pocket Patrol. The free Android app is being trialled in partnership with Surf Live Saving Australia for four weeks at Queensland’s Coolum Beach and Alexandra Headland. Launched as a response to the 12,000 rescues performed each year, the app aims to educate swimmers about beach dangers, from rips and submerged rocks to shallow sandbars. 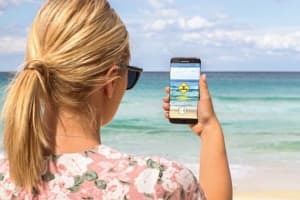 Samsung corporate vice president and chief marketing officer Philip Newton tells AdNews the app will act as an education tool for beachgoers. “Every year we go out to the community and look for projects we feel are significant that we can provide technology to resolve a problem. One of the biggest issues is the lack of awareness of rips,” Newton says. Newton explains a product like this helps consumers understand the brand’s technology offering that he says is Samsung’s “bread and butter”. “The app allows us to demonstrate what technology is capable of. What we want to do is bring technology to the hands of consumers and help them us it,” he says. Samsung and Leo's have also developed a 360 degree virtual reality (VR) experience to demonstrate what it’s like to be stuck in a rip. It also allows Samsung to promote its VR products. More agencies have been fast moving into the product development space, with M&C Saatchi launching Clever Buoy for Optus last year. 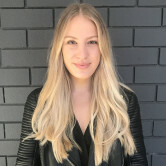 Grant McAloon and Vince Lagana, joint ECDs at Leo Burnett Sydney say: “Given that brand relevance is increasingly reliant on meaningful connections with people, everyone is looking to do new and exciting things. Part of that is product development. The agency says it has seen a rise in appetite for product initiatives, but it’s not suitable for every client. “Our feeling is that this will mean an increasingly larger space for projects such as this. And that's incredibly exciting,” McAloon and Lagana say. When asked if the product launch was timed to combat the negative press surrounding Samsung’s exploding Note 7 phone, Newton says Pocket Patrol has been in the works for 12 months. “The company is enormous. While Note 7 has been an issue, it has been a very tiny part of our company’s operations. It’s a problem but not an issue we are focused on,” he says. Following Optus and M&C Saatchi's foray into high tech beach safety devices, Samsung and Leo Burnett Sydney have entered the space with an augmented reality app called Pocket Patrol.